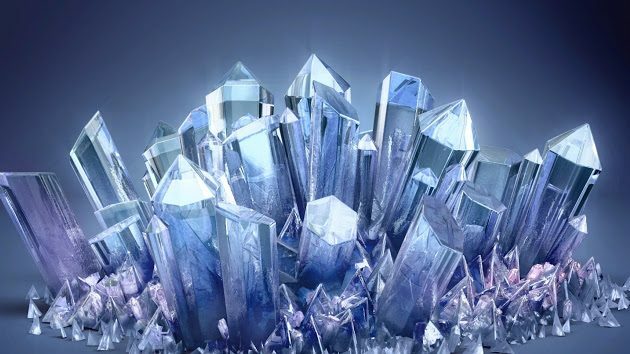 Crystals are among the most fascinating structures in the natural world – not only do they have a unique, highly ordered, and repeating lattice structure, they also have all kinds of inherent, interesting properties, including the ability to self-assemble. When placed next to each other, tiny crystals will twist, snap into alignment, and slam into each other to form larger crystals, and for the first time, scientists have visualised and measured the force that makes this possible. By using a new visualisation technique, the team showed that the force that governs crystals is a type of van der Waals force, a quantum attraction that’s not reliant on any chemical bonds (such as the covalent bonds that hold molecules together). It’s the same type of force that allows geckos’ feet to stick to walls and ceilings – and now scientists have shown that it also works to twist and fuse crystals together, allowing them to get larger and larger. Although many crystal structures are shaped like cubes, they usually have several differently shaped sides, some of which match well together, and some that don’t. When the sides do match up, crystals can fuse together seamlessly. And it’s long been suspected that crystals can self-align to facilitate this – but no one had ever been able to visualise or measure how that happened, until now. Knowing how this works is important, because this attractive force is key to crystals self-assembling in nature to form everything from rocks and seashells, to our own bones. To study the force that brings crystals in line, the researchers combined an environmental transmission electron microscope (ETEM) with technology called ‘nanocrystal force probes’, which basically allowed them to manipulate and watch the crystals interact in real time. Using this set-up, they took two tiny titanium oxide crystals up to 1,000 times thinner than a human hair, put them together and twisted them at different angles, and then watched to see how they combined under the microscope. The team compares what they saw to taking two magnets and moving them towards one another, but on a much, much smaller scale. When the magnets are close enough that the attractive force overcomes the effort of holding them apart, they’ll jump together. The team also tried to pull the crystals apart with and without twisting to measure how much force that took. These measurements allowed the researchers to characterise the force locking these crystals together in detail for the first time, concluding that the attraction was down to van der Waals forces. Van der Waals forces are the weakest of the weak physical chemistry forces, and are a result of quantum mechanical attractions between particles, rather than regular chemical electric attraction between a positive and negative particle. They’ve been pretty well studied, despite the fact that they work based on the strange science of quantum mechanics (as Neils Bohr once said, “Anyone who is not shocked by quantum theory has not understood it.”). But this new discovery actually confirms for the first time a prediction about van der Waals forces made back in the ’70s – that the attractive force is dependent on how the crystals are rotated relative to each other (imagine twisting a baguette to pull a piece of bread off). Now that researchers have an idea of the force that draws these titanium oxide crystals together, it also allows them to predict the attractive forces for crystals made of different materials, such as the calcium carbonate found in seashell crystals. It could also help them to build new crystal-based materials in the future, which could be incredibly useful for new technology. But we’re pretty sure it’s going to be a while before anyone starts messing around with the attraction of time crystals, which are weird enough on their own.